This is what I have at home today. 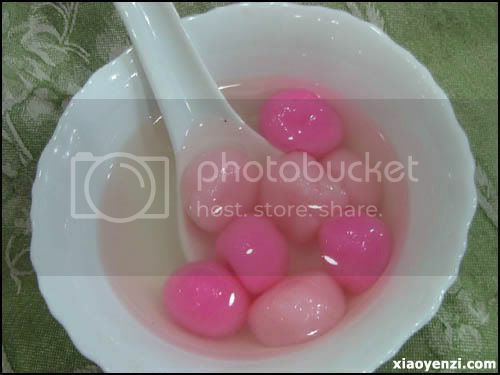 A very traditional and simple Tang Yuan in white and pink, with no fillings inside – just pure rice flour. It taste like eating flour only, if without the sweet syrup. 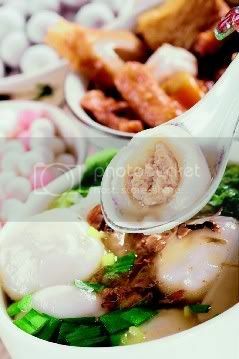 Now, there are many kinds of Tang Yuan, differ from its fillings or soup. Most are commercialized nowadays. I like the one with black sesame fillings. Even with meat as the filling! Honestly, never tried before and feel weird. Have you eaten tang yuan today? Being far from home, tangyuan is something you don’t get to eat meaningfully. Luckily got rice powder here and i can make for myself. Just made myself a big pot and now I’m figuring out how to finish them. RM10 worth of raw material = (breakfast + lunch + dinner) X 2 days maybe? why i dun have.. wakkakaa ..
so did you eat any? Cheer up girl. Next time when you get home, try to treasure the moment more. Wow..did you take any pix? WOW!! That’s a lot..really can’t imagine eating that for 2 days. you? hehe, no people cook for you? 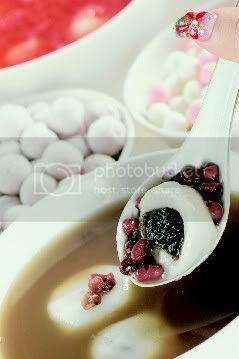 i think maybe next year liao, haih..
How many tangyuan u eat? 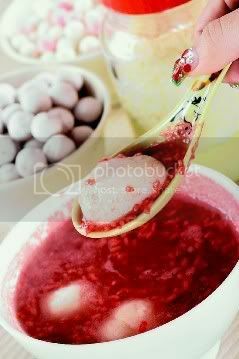 some say how many tangyuan u eat depent on how old r u…i have steam-pot at fern’s house (we works outstation mah)! Nevermind ba..you still can have it next year, maybe with your family somemore. I was given 11. But I shared it with Orange. Forget how much I ate. LOL.